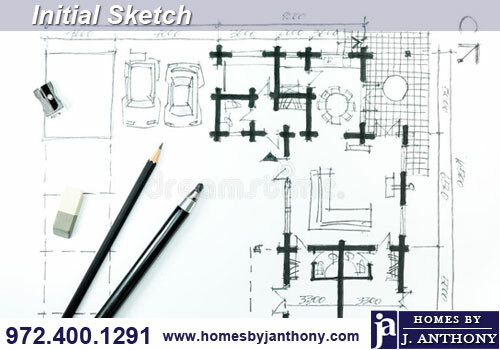 From the basic concept we create more accurately scaled floor plan to improve on your vision and incorporate basic building knowledge, design, and Architectural details. 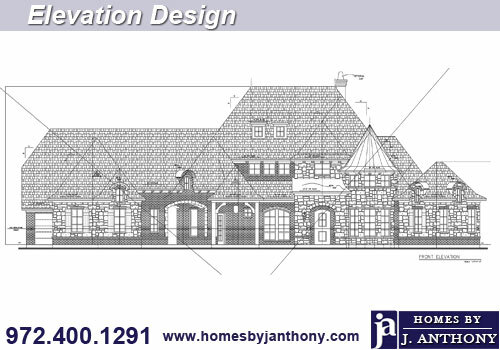 From the initial floor plan sketch we design the home using two architectural CAD based programs to fine-tune the details. We call this a Block Plan. With the base price we can better understand where you are a relationship to your budget. At this point we can increase or decrease the square footage to allow you to do more customized options. Simply reducing a small amount of square footage (2in per room etc.) might allow additional budget for items you may want to include. 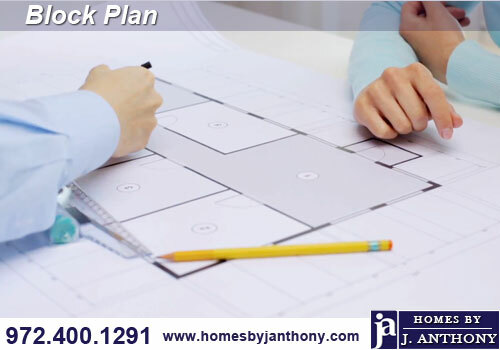 After your Block plan is completed, we can design your elevation the same way as we designed the floor plan. Elevations below are an example of the same home shown in various styles. Now with the floor plan and elevation designs we generate a 3D model of the home, walk through the inside and outside of the house to capture last minute details. 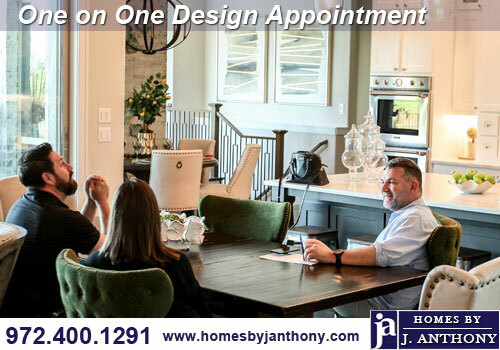 We believe the customers wants a custom home that is unique to their design and ideas but they want to see it first, and with Homes By J Anthony now you can. 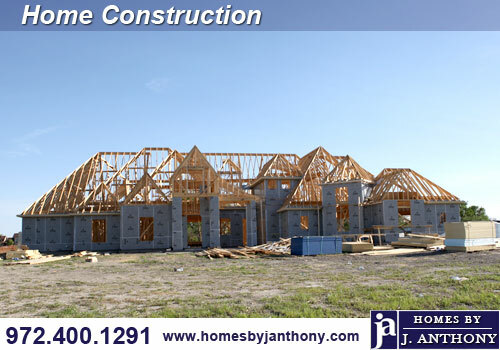 We build your custom home. You will receive updates throughout the construction period. After final inspection Closing is executed. 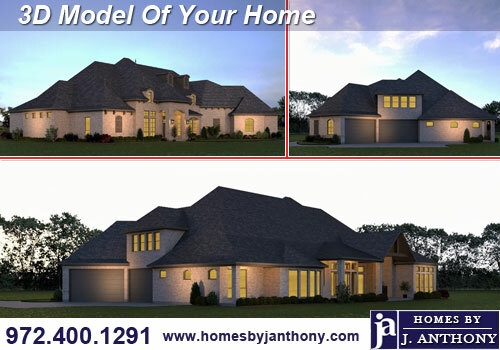 Schedule an appointment with Tony Prutch of Homes by J.Anthony to begin the process of designing your dream home!